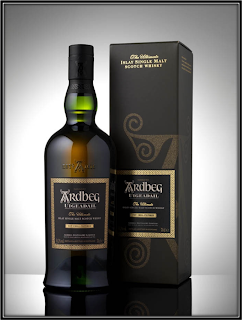 Nose: The first impressions are light Smoke and Peat in combination with Honeyed Bananas and a bit of Quality Oak. A breeze of salty sea air. After opening up you will find some more common notes such as Malt, Sherry, Butter, Orange Marmalade, light Spices and Fruits, mainly Nectarines but also tones of Peaches and Apricots. Not too much alcohol around to spoil the nosing, which is great. There’s harmony and elegance but I miss a bit of the thrill that I feel when completely different elements such as Smoke and Peat and Sherry and Spices combine to present a wonderful nosing experience. 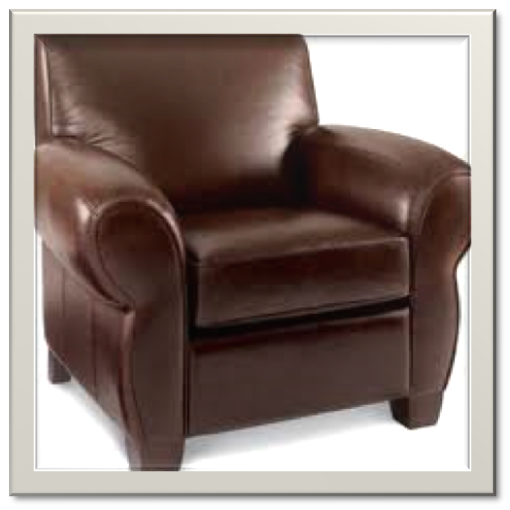 JW Gold’s nose is rich and comfortable and intimate but it’s not overly exciting. This is the image I get when thinking about the JW Gold Label Blend. I wouldn’t mind sitting in that chair though! Taste: The delivery is smooth but just a touch too watery for an 18 Year old. This blend really should have been bottled at 43 – if not 46%. The Taste is easy-going and pleasant enough but not very complex with Honey, Malted Barley, Orange Marmalade and Butterscotch. Breakfast stuff really with just a whip of Smoke and Peat in the back to make it slightly more interesting. Don’t add any water because it spoils this blend completely! Finish: Middle Long with Honey, Sherry, Orange, Toffee, Light Spices (Cinnamon) and Mint. A slightly dry and salty aftertaste (Salted Almonds) appears after 10 minutes or so. As in all JW’s tasted so far, the finish is a little bit disappointing. 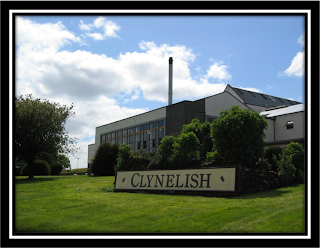 General Remarks: This blend was created around 1995 and consists of Grain whiskies and Single Malts with the Highland Distillery Clynelish at its heart. 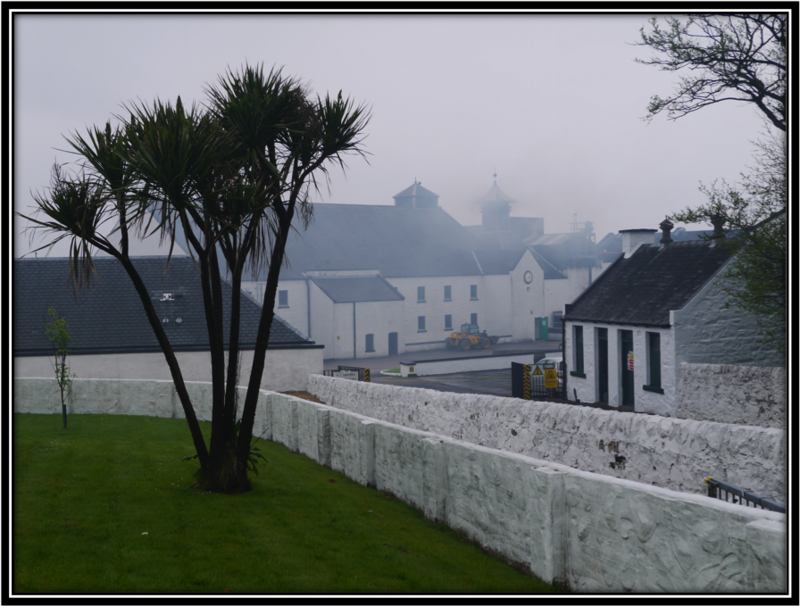 The Peaty part probably derives from Caol Ila. Apparently, Cardhu also contributes to JW Gold. Drinking Suggestion by JW: Freeze a bit of whisky for 24 hours and than drink it in a chilled glass. This way it becomes an after dinner whisky with concentrated peat and honey. I’ve tried it and it’s okay. 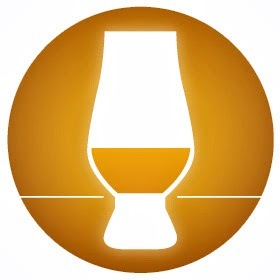 Still, I believe any product (and certainly a quality whisky) should be consumed the way it is presented. It’s all a bit weird if you ask me! 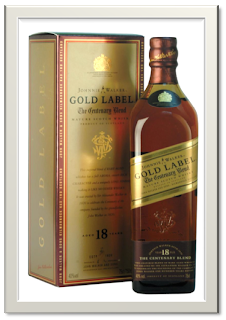 Conclusion: The JW Gold Label is a good, refined comfortable blend that will please many whisky fans but I find it not as interesting, mouth filling and yes, challenging as the Black Label. Therefore a price of around US$ 80 per bottle is way too high when compared to his Black cousin.